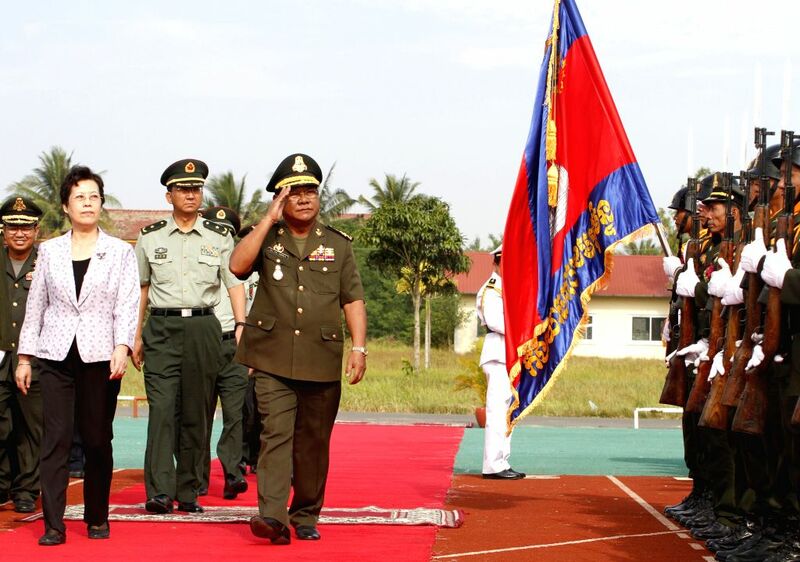 KAMPONG SPEU, Jan. 2, 2015 - Pol Saroeun (4th L), commander-in-chief of the Royal Cambodian Armed Forces, Ci Guowei (3rd L), deputy director-general of the Foreign Affairs Office of the Chinese Ministry of National Defense, and Chinese Ambassador to Cambodia Bu Jianguo (2nd L) inspect the guard of honor in Kampong Speu province, Cambodia, Jan. 2, 2015. A China-funded 4- story building for Cambodian military instructors and a conference hall were inaugurated on Friday at the Infantry Institute after a year of construction. 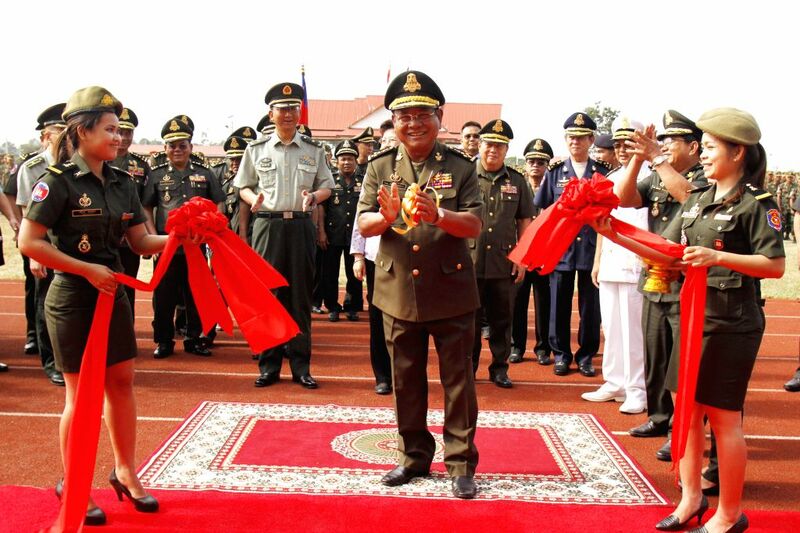 Pol Saroeun (C, front), commander-in-chief of the Royal Cambodian Armed Forces, cuts the ribbon to inaugurate a China-funded building in Kampong Speu province, Cambodia, Jan. 2, 2015.